They're called VILE. 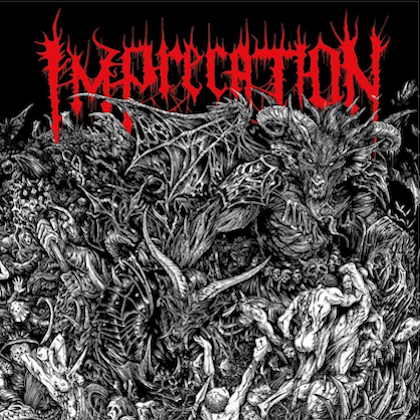 They've got song titles such as "Butchered" and "Path To Incineration" that, once you've obtained a lyric sheet and can comprehend what they're trying to get at lyrically, would undoubtedly favor ripping off societies head and shitting down inside its neck. So, why then, with all things considered, do this Californian quartet fail to leave you walking away from an earful of their second album with a selection of jagged flesh wounds and a bad case of the frighteners? 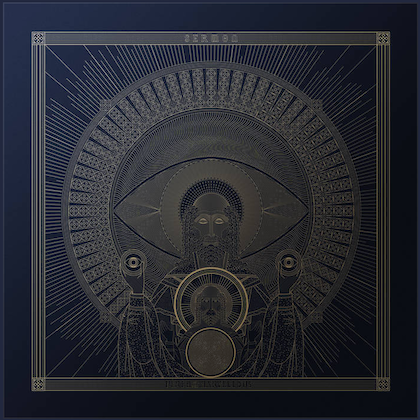 Quite simply, they take a lead from many of the new wavers within the death metal scene — mixing spiraling riffs, machine-wound metronome drums and that trusty delivered-through-a-toilet-tube vocal style — and whilst it might sound world-crushingly heavy to some, if you've been raised on a luxurious diet of early DEATH, CELTIC FROST and REPULSION, it can sound like a tirade of gnashing and wailing that falls short of delivering the killer blow. 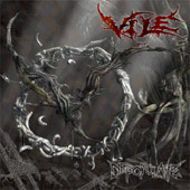 However, whilst it's readily apparent that VILE are jumping on this second generation train, they do possess one redeeming feature that lifts them above the glut of similar bands: their guitarists know their way around a fretboard. Aaron Strong, for one, is described as being particularly fond of the universally employed "Aggressive whammy bar 'Hell Wind'" technique, but when he and fellow six-stringer Colin Davis lock down into solid riffing territory, it can occasionally bring about sterling results — as on the stinging "Unit 731". On the other hand, the overflow of notes that spills out of "Retaliation" leaves the impression of two guys competing in a guitar shop over who can pull off the more fiddly scale. And whilst there is a tendency for increasingly better musicians to reside in death metal bands these days, as Depopulate proves, better musicians do not necessarily a more savage band make.